A librarian, says Richard Powers, is a service occupation, a gas station attendant of the mind. And Germaine Greer declares that "a library is a place where you can lose your innocence without losing your virginity". All this probably applies to the Roseau Public Library, a "building" that has nurtured the minds of thousands of brilliant Dominicans. But it is old, very old. The Roseau Public Library building dates back to the early 1900's. It was designed by a popular Administrator, Hesketh Bell and was funded by a Scottish born philanthropist, Andrew Carnegie. The building was formally opened on 11th May, 1907. At the formal opening of Library Week 2016 minister of education Petter Saint Jean said the Government is committed to the construction of a new library. He didn't say when or how. "As minister of education I look forward to construction of a new facility to serve the city of Roseau and surrounding communities that will allow our library to evolve further with the provision of adequate modern space and to encourage every Dominican to use our library," he said. In the meantime, the Roseau Public Library along with the Documentation Centre hopes to sensitize the public on the dynamic changes of the library during the 2016 Library Week activities. Library Week is being observed from May 8 – May 14, under the theme "Libraries Evolving". 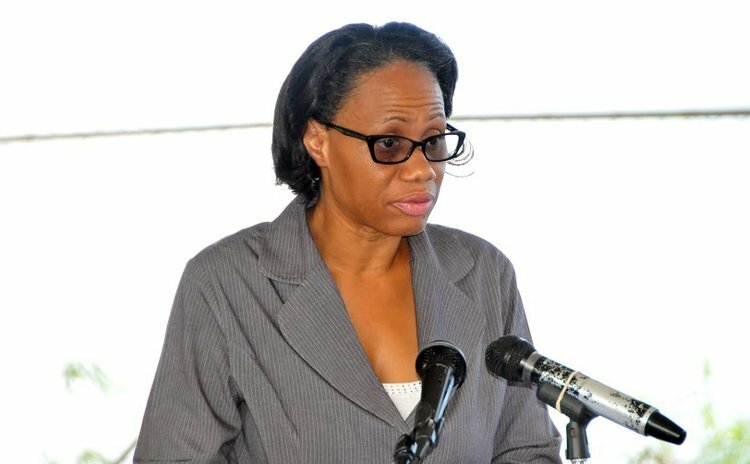 "They will also seek to increase public awareness of the valuable impact of the services libraries and information centres provide; highlight and also celebrate the work and achievement of librarians and information professionals," said Librarian II Renita Charles at the opening ceremony on May 9. She added that it is a time to focus on the changing world of the library, librarians, library workers and information professionals. Charles noted that libraries and information centres are evolving to meet the needs of the communities by providing new universal and equitable access to information. Chief Librarian Vernanda Raymond said: "This year through our theme" Libraries Evolving" we seek to inform that our libraries are working diligently to keep up with and push ahead on societies curb and dispense information that libraries are valued institutions." She stated that over the years the library has been technologically advanced. "Embracing new mediums for sharing information and allowing our library to adapt to meet the changing ways of users, we embrace the internet not just to provide computers to users but as a tool for librarians and library," said Raymond. She added that the internet serves as a tool that provides the avenue for the automation of processing and circulation functions. Raymond said that the creation of online catalogues and web spaces that now provide any user from anywhere around the world the 24/7 access to the library's collection, services and online resources.